Cat leukaemia or feline leukaemia virus (FeLV), is a disease which impairs a cat’s immune system leaving it vulnerable to a variety of diseases and infections, as well as causing certain types of cancer. It is a retrovirus which means it is species specific, and so can only infect cats. There are 3 types of infection; FeLV-A, FeLV-B and FeLV-C. Cats can be infected by 1, 2 or all 3 types. FeLV-A severely weakens the immune system. FeLV-B causes tumours and abnormal tissue growths. The virus is transmitted by direct contact with the saliva of an infected cat, commonly through grooming or sharing food and water bowls. An infected mother can transmit the virus to her unborn kittens or, following birth, through her milk. Kittens, male cats and cats that have access to the outdoor are particularly susceptible. When a cat is exposed to the virus it can react in several ways. Some may not become infected due to not being significantly exposed to the virus or due to a good immune system. Others may develop a latent infection meaning their body may not be able to fully destroy the virus, but keep it in check and so not exhibit any of the symptoms. Finally, there are those who are continually infected and unable to develop an adequate immune response. These cats remain permanently infected and develop associated diseases within a few years. Most of those that become permanently infected will sadly die within 3-4 years of being diagnosed. Young cats are particularly vulnerable. How is FeLV in my cat diagnosed? Diagnosing feline leukaemia can be difficult as a cat may well be infected with other diseases due to its weakened immune system. 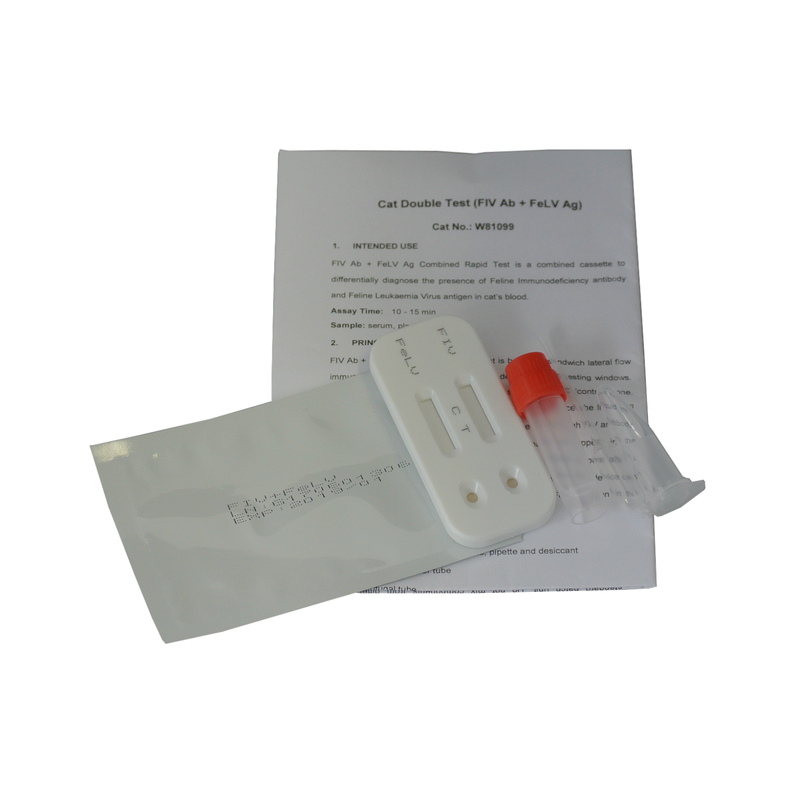 Initially your vet will want to rule out other infections and non-viral cancers, so will take a blood test and possibly a urine or saliva sample, to undergo analysis. A bone marrow test can be undertaken but is rather invasive, so not routinely done. Where a blood test reveals an abnormal white blood cell count, this could indicate leukaemia, however, an increased count could be due to your cat fighting off an infection. A low count may indicate kidney disease. If your cat is suffering with multiple diseases it will be difficult to diagnose leukaemia so retesting over a period of time, possibly several months, could be necessary. Your vet may detect leukaemia proteins but some cats can clear the virus from their system and never fall ill, so your cat will be retested after 3 months of the protein first being detected. Unfortunately, there is no reliable treatment for FeLV. Once your cat’s test results have been received, your vet will give a prescription to treat the symptoms and causes. Your cat will not need to be taken into the care of the vet unless she develops a serious secondary infection, low red blood cell count or extreme weight or muscle loss. Once it’s condition has stabilised your cat will be able to return home. Due to the cat’s weakened immune system, she will be susceptible to infections and kidney disease. Ensure routine vaccinations are kept up to date. Nutritional supplements and a special diet may help but it is also advisable to keep them indoors to limit the chances of contact with infection. Cats with feline leukaemia are prone to cancer. Chemotherapy treatment is possible, but not all respond positively and the viral infection will remain. Even if a cat responds to this treatment it is unlikely to significantly prolong its life. The average survival time following responsive chemotherapy treatment, is 7 months. How to prevent feline leukaemia? Vaccination is strongly recommended particularly for those that go outside, are boarded, go to shows or otherwise have contact with other cats. The initial vaccination should be followed up with regular boosters. As with all vaccinations, there is a chance of side effects so your cat may appear slightly off colour for a couple of days. A slight swelling or lump may appear at the site of the injection. If this does not disappear after several weeks, get it checked out by your vet. A vaccine may not always be effective, particularly if your cat has already been exposed to the virus from other cats, from its mother or as a kitten. Therefore, cats should be tested for the virus prior to vaccination. If you have several cats and discover one is infected, the only way to ensure the virus is not passed on to the others, is to isolate the infected cat. The virus does not survive for long outside so once an infected cat has been isolated and the previously shared areas, bedding and bowls cleaned, it should be safe for the other cats to return. However, the infected cat must remain in isolation.